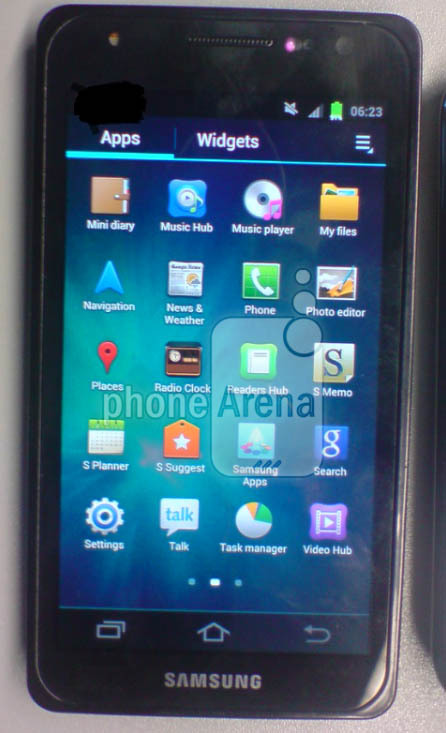 Samsung GT-I9300 M is surely gaining all the necessary eyeballs and ears with the leaked image and rumours that are running down the rumour mills. And the latest to do the rounds is that the device will drop the Galaxy tag and arrive in a totally new branding. The I9300 is said to be called the Samsung M instead of Samsung Galaxy M as we saw earlier today and may also become an important product at the time of launch will is being said to be around the London Olympics as Samsung is a major sponsor of the games. And as the launch is so big, the device also has to be something to match up the standards. And here comes in the most interesting scoops about the Samsung I9300 M. If sources of GSMArena are to be believed then the Samsung M will come equipped with some awesome features like eye-monitoring, auto-dial, detect heart rate and much more. The Eye-monitoring feature is the most interesting of all. It seems that if this feature detects that the user is looking at the screen then it will keep the display on! Also it will go on to manage auto-rotation if it detects that you are lying down and so for your convenience, rotate the screen. AWESOME! The Auto-dial feature seems to be cool to. Suppose you receive a text from a friend and after reading the text you bring the device next to your ear, Samsung M will automatically dial a call to that friend of yours. And hey if you take a picture with your friends, the M will try to recognise your friends from your contacts and tag them. It will also enable you to email the picture to them. Cool! Next up is the feature of the Samsung M able to monitor its owners heart beat rate and other biometrics with the help of other hardware. Interesting isn’t it? With so many leaks and rumours we expect the Korean giant to unveil the device in the coming week.